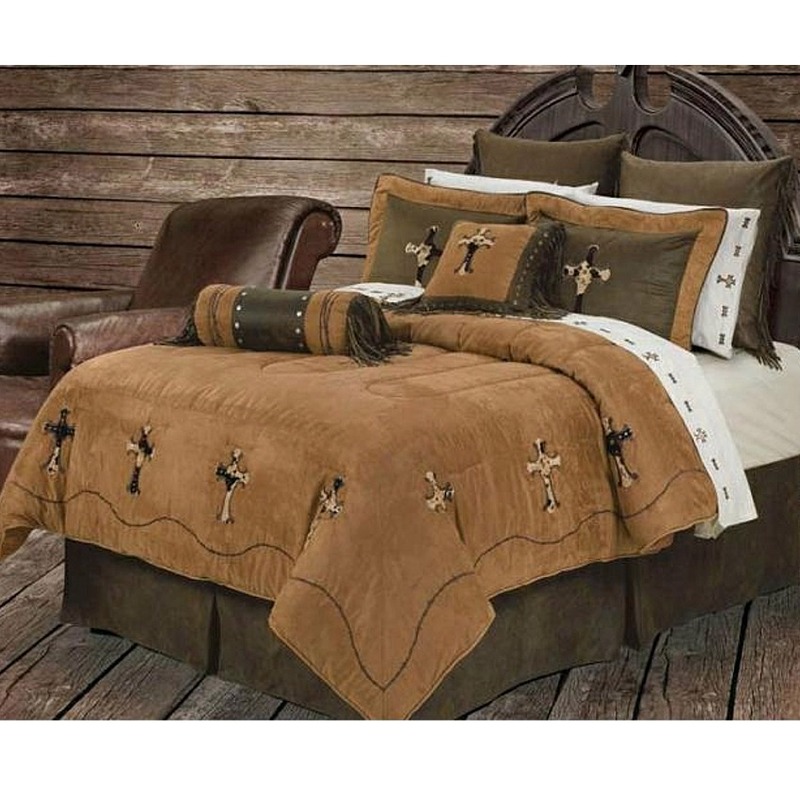 The Cowhide Cross comforter features Faux Cowhide Crosses on micro-suede fabric. Sets include coordinated pillow sham(s), bed skirt, and neck pillow. The Cross Sheet Set, Small Cushion Pillow, and Fringed Euro Shams are sold seperately. (twin only (1) sham)*Super sized, more comforter, these are larger than normal sized comforter, better fit for pillow top mattresses. Fabric: 100% Polyester, Filling: 100% Polyester Fiber. Dry Clean Only.